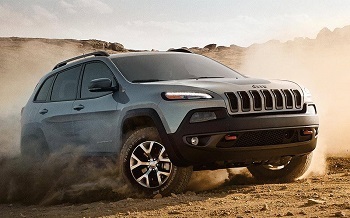 The is a model for Palm Coast and Port Orange drivers who want a vehicle that doesn’t compromise, unlike the 2015 Honda CR-V. With superior power and capability allowing you to tackle the backcountry just as well as the city, the new Cherokee is a machine that will take you anywhere in style and comfort. Drivers of the 2015 Jeep Cherokee can select from one of five separate trims. Sport: Starting at $23,095, even the entry-level model offers the capability of Jeep Active Drive I, the efficiency of a 9-speed automatic transmission system, and the advanced technology of a Uconnect 5.0 multimedia center. Latitude: Starting at $25,095, the Latitude provides several interior upgrades, including ambient LED lighting and a leather-wrapped steering wheel. Altitude: Starting at $25,695, the Altitude stands tall on 18-inch Gloss Black 5-spoke aluminum wheels that sport 225 / 60R18 BSW Touring Tires, making for a capable drive and stunningly exterior. Trailhawk: Starting at $30,395, the Trailhawk is the model that you need to tame the backcountry. The Selec-Speed crawl control system comes standard, as does an advanced Jeep Active Drive II 4×4 system. Limited: Starting at $28,895, the Limited includes dual-zone temperature control, leather trimmed bucket seats – heated in the front – and a stunning Uconnect 8.4A system with generous 8.4-inch touchscreen as standard. The 2015 Honda CR-V offers only four trim levels, so you won’t enjoy the same level of choice. Options include the LX, the EX, the EX-L, and the Touring. The LX starts at $23,445, while the Touring comes in at $31,645 – close to $1,000 more than the unstoppable Cherokee Limited. 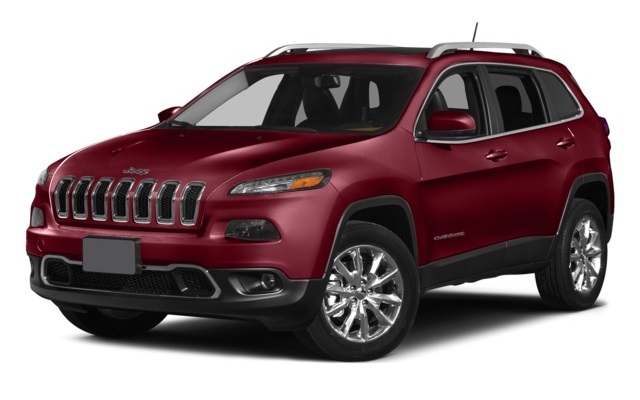 As befitting a Jeep, the 2015 Cherokee is offered with a choice of two engines, both of which are paired to a state-of-the-art 9-speed automatic transmission for nimble acceleration and flawless efficiency. 2.4L Tigershark I-4: Even the Cherokee’s standard engine is trusted to deliver high performance ratings, offering 184 hp and 171lb-ft of torque. It makes 22 mpg in the city and 31 mpg on the highway. 3.3L Pentastar V6: Of course, sometimes Palm Coast and Port Orange drivers need a little bit more. The Pentastar engine delivers an output of 271 hp and 239 lb-ft of torque, with only a small drop in fuel-economy numbers to 20 in the city and 28 on the highway. 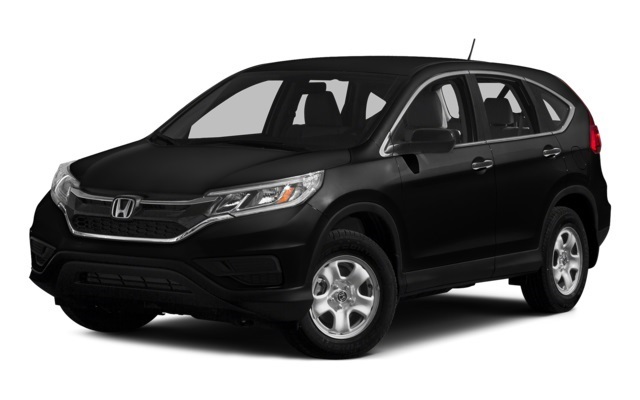 In stark contrast, the 2015 Honda CR-V offers just one engine, a 2.4L Earth Dreams i-VTEC motor that produces up to 185 hp and 181 lb-ft of torque. That’s not bad, but it’s nothing compared to what drivers can experience with the Cherokee. 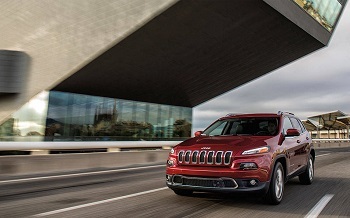 Unlike the 2015 Honda CR-V, the 2015 Jeep Cherokee can handle the roughest terrain just as well as it can cruise the highway and slip through city streets. A fitting testament to that fact is that the Cherokee is offered with one of three 4×4 systems, while the CR-V provides just one. Jeep Active Drive I 4×4: Includes brake traction control for all-weather capability, plus a best-in-class rear axle disconnect which disables 4×4 when it isn’t needed to improve your mileage. Jeep Active Drive II: This low range system is perfect for crawling over rocks or up steep inclines, and it also includes a neutral mode for flat towing behind an RV. Jeep Active Drive Lock 4×4 with 4-Low: Available with the Trailhawk, this system is trail rated to ensure that it lives up to and exceeds the highest off-road expectations. 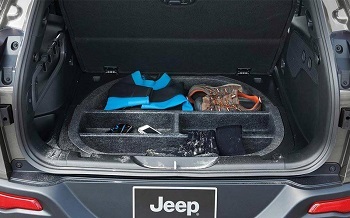 Jeep Cargo Management System: Adds versatility to aid your active lifestyle, with available Mopar accessories including a cargo bin, collapsible cooler, first aid/emergency kit and off-road accessory kit. Uconnect 8.4AN System with Navigation: Uconnect multimedia centers set the standard throughout the industry, and you’ll enjoy the very best with the Cherokee. 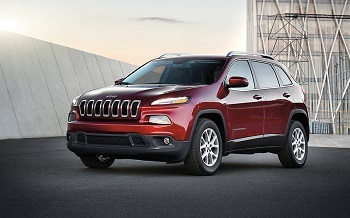 The 2015 Jeep Cherokee includes 70 standard and available safety and security features. 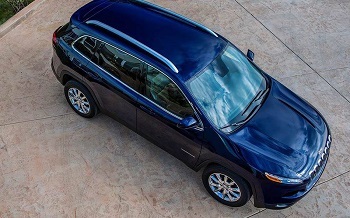 As with the 2015 Honda CR-V, this includes advanced features such as lane departure warning and an adaptive cruise control system, but only the Cherokee is available with parallel and perpendicular park assist. This innovative feature recognizes parking spaces and then uses ultrasonic sensors to help guide you in without causing any harm to the vehicle. The 2015 Jeep Cherokee is available now from . Come down to our dealership to experience it today.